NEW ORLEANS - A federal judge abused his discretion in admitting key evidence and testimony used to prove that zakat (charity) committees inside the West Bank funded by an American Muslim group were Hamas-controlled, defense attorneys argued Thursday before a three-judge appellate panel. 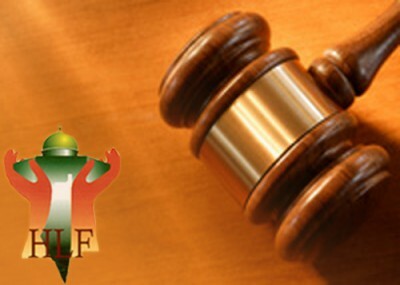 In November 2008, five former Holy Land Foundation (HLF) officials were convicted on 108 counts of illegally routing money to Hamas through those committees. HLF had been one of the nation's largest Muslim charities. In their briefs filed last October, the five defendants asked the United States Court of Appeals for the Fifth Circuit to overturn the convictions. Anonymous testimony by Israeli intelligence and military witnesses, and evidence seized from Palestinian Authority offices during an Israeli raid, are among the things the presiding judge allowed jurors to hear in error, the defendants argue in their appeals. During Thursday's hearing, defense attorney John D. Cline, who represents former HLF Chairman Ghassan Elashi, called the government's case a "textbook on evidentiary error." One Israeli witness, identified only as "Avi," was key to the government's case. Avi linked together documents to show that the committees which HLF sent money to were funding Hamas. "Avi was a critical, critical witness in this case," Cline said. Avi linked together a volume of government documents and created an easy-to-understand narrative for the jury. "He wove that all together in a nice, neat package." The government's refusal to identify Avi's true identity hindered the defense attorneys' ability to conduct a background investigation on the witness, Cline said. But Justice Department attorney Joseph Palmer said the Israeli witnesses' lives could have been endangered if their identities had been disclosed in public. The defense was still able to place "Avi" in a proper context before the jury. Avi's cross examination "was rigorous and it was effective," Palmer said. He pointed to a separate case upheld by the 4th Circuit, in which a police officer from El Salvador was allowed to testify as an expert on a gang called MS-13, without disclosing his identity. Cline also criticized the court for allowing prosecutors to use Avi instead of another witness identified in a government document - retired Israeli military officer Jonathan Fighel - who could have covered the same subject as Avi. "The government, with the district court's blessing, made a tactical choice," said Cline. Cline and his colleagues also challenged the credibility of government exhibits found in the West Bank. But Appellate Judge Emilio M. Garza countered that those documents taken from Palestinian Authority (PA) offices "have a certain amount of credence." In his remarks during oral argument, Judge Garza noted that the documents were found at the PA headquarters in Ramallah, which was then controlled by Hamas rival Fatah. It was in Fatah's interest to have accurate information on Hamas support. "Fatah found these documents important," he said. "The possession of these documents [by the PA] is in and of itself important." Cline singled out one exhibit for its illegible signature. He also said that it had no date or letterhead, making its reliability unclear. Cline argued that under rules of evidence, the government had a "heavy burden" to show why the exhibit is reliable and relevant. Judge Carolyn Dineen King called that argument "powerful." The defense also took issue with the use of documents found in the homes of Hamas activists Ismail Elbarasse and Abdelhaleem Al-Ashqar. These documents are hearsay, argued defense attorneys, and date back to a time period before Hamas' designation as a foreign terrorist organization. One exhibit introduced during the trial was a handwritten document addressed to defendant Shukri Abu Baker, who was HLF's chief executive. In rebuttal, Cline said that the document was simply addressed to "Shukri." "It could have said 'Dear John,' but that doesn't mean it was written to me," said Cline. That evidence from the contested documents can be corroborated with other exhibits in the case, Palmer countered, such as the testimony of convicted Hamas supporter Mohamed Shorbagi, phone records showing the defendants' personal relationships with Hamas leaders, and transcripts and documents from a 1993 Philadelphia meeting of the Palestine Committee, a U.S.-based Hamas support network. Additionally, he argued, there is "circumstantial evidence" inside those Elbarasse and Ashqar documents themselves, such as organizational charts. All five HLF defendants had counsel at trial. The HLF charity itself did not, however, but attorney Ranjana Natarajan filed an appeal on the charity's behalf. Prosecutors say that she is unable to represent the charity before the court and the appeal should be dismissed. During the 2007 trial, Shukri Abu Baker's attorneys dropped HLF as a client, leaving it unrepresented. That proceeding ended in a mistrial when jurors deadlocked on most counts. U.S. District Judge Jorge Solis, who presided over the 2008 trial, was never informed that HLF was not represented by any of the defense lawyers at the second trial. You can listen to the arguments here. A decision from the appellate court is expected later this year.